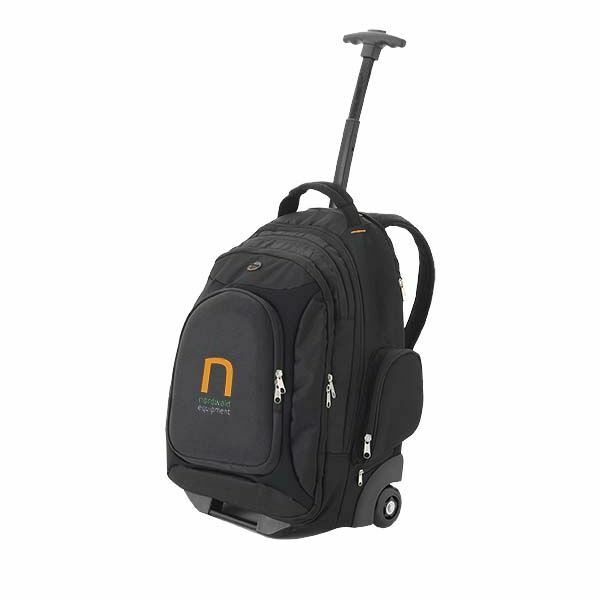 15'' laptop rucksack. Cabin approved, four spacious zipped compartments. Laptop compartment holds up to a 15'' laptop. Front zipped organizational pocket. Hard EVA shell on front pocket protects small electronics. Packed in a non woven gift pouch. 600D Polyester and PVC.